Interior Size: 1134 sq. ft. Location Location - and this unit backs into Olympian Hills grounds. Recently upgraded with hard-wood flooring, new washer/dryer and granite kitchen countertop, this unit is steps away from tennis courts and community pool. 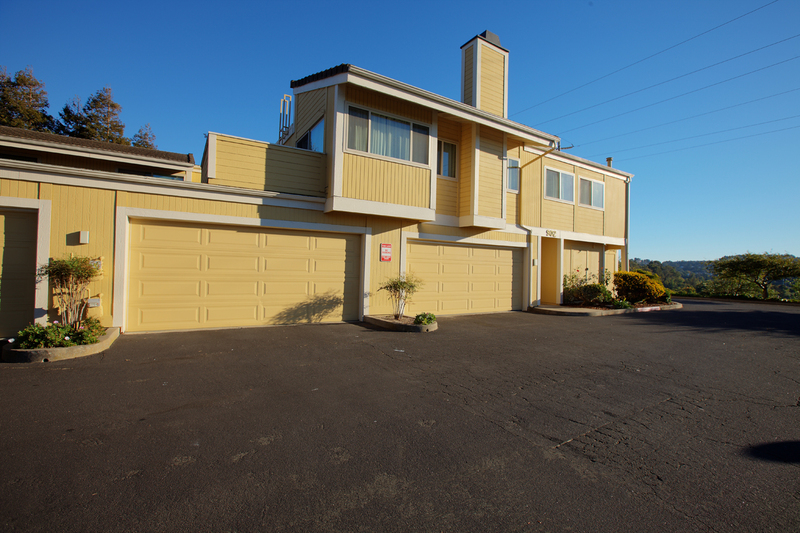 The 2-car garage w/ sunset views is steps away from the unit's hallway.